Jean Anthelme Brillat-Savarin, a French lawyer, philosopher and gastronome said “Tell me what you eat and I will tell you what you are.” These words capture the essence of the perfect French meal and its connection to national identity. Food is much more than sustenance to the French. Food is a map that reveals secrets about the varied regions that comprise the French Republic. It is a story about cultural traditions dating back to the era of kings and queens. It is a lesson about contemporary geopolitics and immigration. Today, the French gastronomic landscape includes couscous and kebabs, as well as bistros and boulangeries. Finding the classic French meal has become a multi-cultural journey. From Émile Zola’s 19th century novel Le Ventre de Paris to Cézanne’s still life with fruit, gastronomy is culturally pervasive, touching French literature, filmmaking, art, industry and agriculture. During a voyage of delicious discovery, your search for the perfect meal lays bare the soul of French culture from Paris to Languedoc and Burgundy. Your journey to find le repas français begins in Paris. 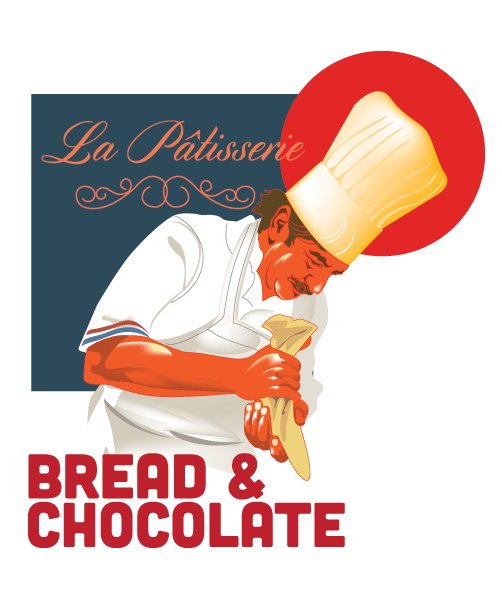 Sample delicacies from master chocolatiers and pâtissiers on the Left Bank. Take in a birds-eye view of the City of Light from Sacré Cœur. Buy fresh fruits and vegetables at outdoor food markets in Les Halles and practice your French language skills in boulangeries, fromageries and cafés. During your food seminar, learn about the nexus between food and culture. Take a French pastry class at a Parisian cooking school and engage in discussions, lectures and field-based exploration that introduce you to French gastronomy and regional ingredients. Then take the TGV to your host community of Castres to become part of a local family in the Midi-Pyrénées region of Southern France. While shopping for fresh produce in outdoor markets, visiting the Goya Museum with fellow Corps members and cooking with your new host family, you become integrated into daily life. Travel to Lyon for a week of culinary classes and an introduction to French gastronomy at the famous Institut Paul Bocuse. Work with renowned chefs to learn about local ingredients, regional delicacies and agricultural biodiversity. Each morning dressed in full chef’s regalia, learn and prepare new recipes from around France and dine on your creations. Then travel to the heart Burgundy for exploration of vineyards, fine food markets and small villages around the city of Beaune. Spend your final few days back in Paris visiting familiar restaurants, favorite neighborhoods and preparing for the journey home. Climb the winding steps of Notre Dame. Get fitted for your own professional cooking uniform at Duthileul & Minart. Shop for regional delicacies in outdoor markets and picnic in the Luxembourg Gardens. Speak French in stores, cafés and neighborhoods from Montmarte to Le Marais. Bake rich pastries at a Parisian cooking school. Discover the links between food, culture and geography. Meet with farmers and organic food producers. Cook with your host family. Visit a family run garlic farm. Spend the day on the Languedoc beach of Gruissan Plage. Participate in sweet and savory cooking workshops. Become a French chef and epicure. Learn from master chefs at the Paul Bocuse Culinary Institute. Explore Vieux Lyon by public bus and metro. Travel to Beaune in the heart of wine country. Shop at the gourmet food market. Learn about the wine industry in Burgundy. Return to Paris for a final meal in a favorite restaurant.